Hitting the bull’s-eye is what archery is all about. I learned years ago hitting the bull’s-eye doesn’t happen from flinging arrows in the general direction of the target or even aiming at the target. One needs to aim at a specific point on the target in order to be accurate. That point is generally the centre of the target: the bull’s-eye. Hitting the bull’s-eye is also what it’s all about when it comes to The Great Commission (Matthew 28:19–20). The central and compelling command in these verses is “make disciples.” Three other words—going, baptizing, and teaching—describe how we are to go about that. But I wonder if in one respect The Great Commission has become The Great Omission. We seem to understand the going and the baptizing part, but do we need to adjust what we are setting our sights on when it comes to “teaching them to obey everything I have commanded you” (28:20 NIV)? We engage in teaching disciples so in that sense we’re hitting the target. But we are missing the bull’s-eye when it comes to reproduction—the goal of discipleship. As Jesus gives The Great Commission He tells His disciples to make disciples and to teach these new disciples to obey all that He commanded, including the command to make disciples. Condensed further, Jesus is essentially saying, “Disciples, go make disciples and teach them to make disciples.” Using the archery analogy again, we hit the bull’s-eye when we make disciples who in turn make disciples of others. How long would it take to evangelize the world if we were to actually do what Jesus said and if each year every disciple made another disciple who made another disciple? Sure, it would start out slow. After one year there are only two disciples and only four after two years. But keep going and by year 33 you will have more than 8.5 billion disciples. God’s plan calls for multiplication. Just as the normal process is for plants to grow, produce seed, and ultimately produce another plant, in the same way it is inherent in discipleship that Christians reproduce themselves. The job isn’t done, the command isn’t fulfilled, and the cycle isn’t complete until we do. To fail to do that will eventually mean extinction for Christians. This makes a huge difference when we measure the success of our ministries or church groups. Decisions for Christ, Sunday morning attendance, or the numbers in small groups are good things in themselves, but they are not the only yardsticks of The Great Commission. Jesus’ command isn’t fulfilled until the one who made a decision to follow Him has matured and made a disciple who is seeking to reproduce himself or herself. On a personal level each of us may need to pause and reflect as to whether we are hitting the bull’s-eye. There are several essential areas where we need to assess ourselves. Do I clearly understand what Jesus’ command involves and does it permeate my thinking about discipleship? If so, where are my disciples? Is there adequate follow-through to see that Jesus’ plan is being followed by the ones I’ve discipled and how can I help them to see that it is? 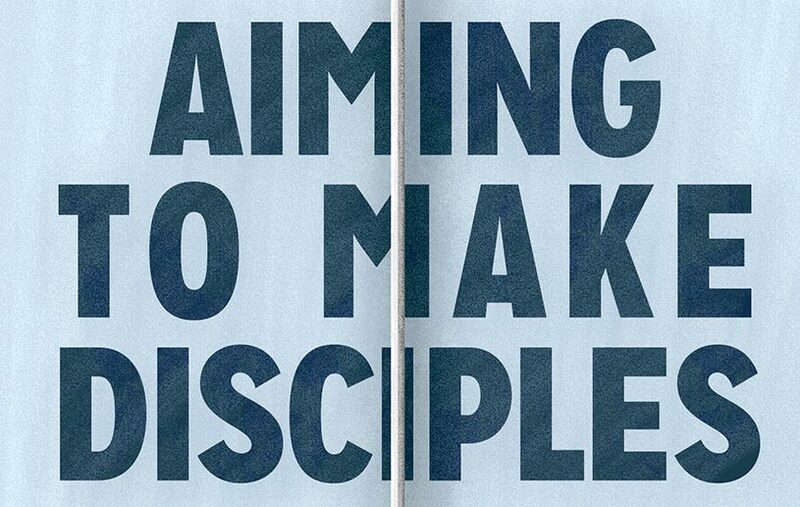 Someone has said, “Aim at nothing and you are sure to hit it!” Hopefully that doesn’t describe how we make disciples. Hitting the bull’s-eye in archery or discipleship simply requires knowing where to aim and then shooting for it. Aiming to make disciples who make disciples is a bull’s-eye every believer can hit.